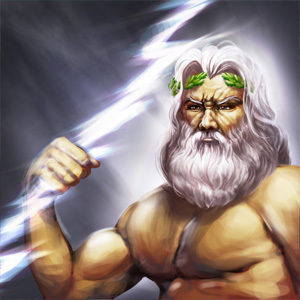 Laying in the Greek mythology the strategy game differs from other, mainly in science fiction in the Middle Ages and / or have their issues in the fantasy field reference. However you take it with historical accuracy is not so serious. It is comparable to something with „The tribes“, which was also produced by InnoGames. At the beginning you can choose between twelve different worlds, each with different properties. Thus Grepolis different from many online games that have only one game world and achieved a decisive advantage: New players and interested parties do not have to wait several months to a strategy online game able to take part but are looking to ease out the world to them is the most pleasing. In addition, the game is reduced not only a language but is international with a total of 15 different languages. In total there are about two million players registered worldwide. The game is constantly updated, meaning it will update the versions and therefore have little technical errors. The browser game was even nominated in the development phase in the category „Best Strategy Game“ and „Best German Browser Game 2009“ by the German Developer Award. Overall, the game makes a very consistent impression of a hand in graphic and other game in functional terms. Unlike other online games there is this little advertising. This is due to a premium system that allows players using the traditional, „secular“ money or gold in a variety of discounts given to the virtual world. Thus, for example, earn 120 gold pieces for 1.99 €. For 100 gold pieces can be unlocked for 14 days for an administrator, who is the player allows for a fortnight longer works to set and get more helpful overviews. Furthermore, there are a trader, a high priestess, a commander and a captain are available, which in turn bring their own advantages in the game itself. What is a positive part in the appearance, since it abolishes various banner ads and the like, but it has taken in particular in the beta stage already to some resentment, as advised by the possibility of the real successes playful behind. However, the criticism seems over the expansion of the game has lost. The support is exemplary, the forum is extensive and well maintained the contact between players in comparison to other games a lot. If then usual for distraction and can also get a little knowledge of ancient Greece at a time strategy game like, here is the right advice.